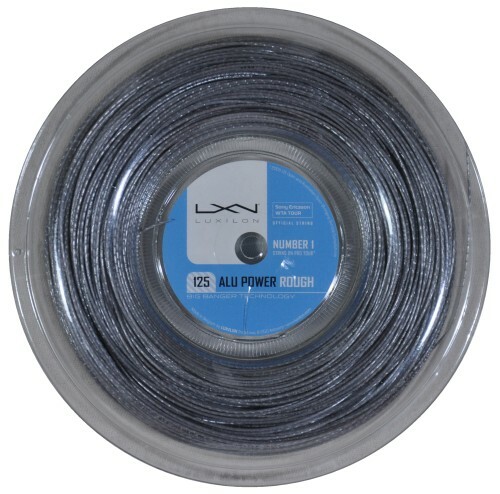 The durable and control-oriented response of Luxilon ALU and other Luxilon co-polyester strings has revolutionized professional tennis. Luxilon is by far the most popular string choice on the ATP Tour. The co-polyester monofilament construction allows a player to take full cuts at the ball without any loss of control. Players with fast swing speeds also tend to find these strings very spin friendly. ALU Rough is textured to further enhance spin production. This string is used by many ATP professional players.